Are you attending the AANAC/AADNS conference, April 3-5? While you’re in Orlando, maximize your chances of PDPM and Five-Star success by participating in SimpleLTC’s multiple learning opportunities. As the primary sponsor of the AANAC conference for the eighth consecutive year, we’re excited that this will be the highest attended and most anticipated AANAC/AADNS conference to date, with an unprecedented number of learning opportunities. SimpleLTC will provide eight power-learning sessions in our exhibit hall Learning Lab with topics covering PDPM, Five-Star, PBJ and more. During Friday’s breakfast hour, our Product Theater will highlight best practices for PDPM preparation, including a detailed case study of Sava Senior Care’s PDPM strategy. With continuous CMS updates and PDPM on the horizon, don’t miss these opportunities from SimpleLTC to prepare yourself for success. SimpleLTC is sponsoring Friday’s Product Theater Breakfast, another new learning experience offered by AANAC/AADNS this year. While enjoying breakfast, you’ll learn important tips and best practices to prepare for PDPM. Be sure to stop by SimpleLTC’s booth in the exhibit hall for a sneak peek of our powerful new PDPM analytics tools. While you’re there, pick up a free water bottle, enter to win an Apple Watch, or just relax in SimpleLTC’ Recharge Networking Lounge. 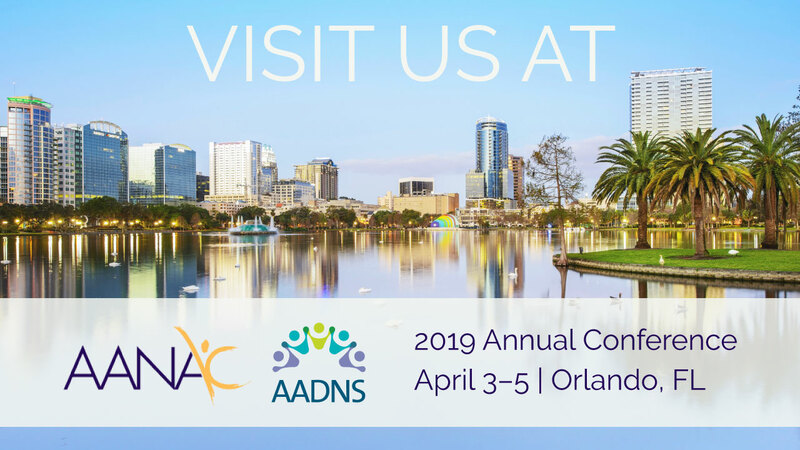 We see the efforts MDS and DON professionals put into improving quality and compliance every single day, which is why we choose to support AANAC/AADNS and their annual conference. We can’t wait to see you in Orlando! Sounds like great topics. Will you be presenting these presentations after the conference so that we would be to get to them all? Hi Margaret – We won’t be repeating the Learning Lab sessions as they are short sessions designed just for the conference, but we will make the handouts available afterward. Thanks! Do we need to make a reservation for Wednesday session 7:30-9pm? I hope there will be enough sits for everybody to accommodate. Thank you for supporting us with all the upcoming changes. More Power to SimpleLTC! Hi Melanie – No reservation needed for the Learning Lab sessions. Just stop by the SimpleLTC booth in the exhibit hall and you can see the schedule. The Learning Lab will be right next to our booth. Thanks! Hope to attend them. Only getting in late Wed. So glad we will still have access to handouts. Thank you. Thanks, Mary! Hope you find the training helpful. Looking forward to the conference and the learning labs. SimpleLTC always provides great tools for keeping us up to date. Thanks so much, MaryAnn! See you in Orlando. Trying to look for Mary Madison Presentation at the AANAC during the learning labs as provided by Simple LTC. Since we were taking a shots during presentation and somebody told us that it will be posted on the website. Thanks a lot for all the learning labs that you guys shared to us at the AANC conference. That was outstanding!